*Please know there are numerous other teams which we have specifically excluded from this list. The teams listed below are the most recognized teams in the Mid-Atlantic and Greater Washington area. Please refer below for more information on how to join. This is the largest amateur cycling club on the east coast. 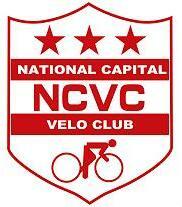 A member of NCVC can be found on almost any group ride in the Greater Washington area or the . Furthermore, the club has numerous group rides which roll out from DC, Maryland and Virginia. NCVC boasts all levels of riders from Cat 1 to Cat 5. Squadra Coppi is based out of Northern Virginia and is often known well for their Tuesday night group rides from Freshbikes, the Giro de Coppi and the Tacchino Ciclocross cross races. The team is a close knit group of individuals who love riding bikes, putting on awesome group rides and hosting two of the best races in the Mid-Atlantic region every year. Sponsors: Vapiano, Freshbikes, Java Shack, Core Wellness & Physical Therapy, bikeman.com. Membership: Contact team leadership at info@dcvelo.com for more information. The most recognizable triathlon club in Washington, DC is DC Triathlon Club. This club has triathlon enthusiasts with all ages and ability levels. The club possesses a wealth of information to seasoned veterans of the sport as well as people who have never completed or competed in a tri before. Members can participate in organized and scheduled group swims, runs and rides. Membership: $50 - 1 year, $90 - 2 years, $130 - 3 years Members can join here. Sponsors: Refer here for a full list of sponsors. Another one of the most recognized teams in the DC region. Artemis is dedicated to promoting and supporting women in competitive cycling. They also are passionate about promoting the development of youth (ages 10-18) in cycling. If you ever see a purple jersey in the district, it's probably Artemis. Membership: Talk to a team member on any group ride or contact them by email here. Route 1 Velo is home to the famous Greenbelt Training Series which takes place over the summer months. This team is based out of Maryland and has been around for the better part of two decades. Another MABRA based team, the group can be found in almost any variety of race in the area. Membership: Contact the membership, committee via their website, for more information. Kelly Benefit Strategies / Lateral Stress Velo is one of the well recognized and largest teams in the Mid-Atlantic region. The team currently consists of 100+ riders across all categories and disciplines. While the team is officially based in Baltimore, they can be seen on almost any large group ride throughout the DC and Baltimore regions. It's near impossible to miss a team member sporting their jersey in any MABRA race... not to mention you should probably watch out for any attack launched in a race... Trust me ...they can roll. Membership: Open membership (anyone can join). You may join as a team or club member. See here for more detail. Sponsors: See here for a full listing of their sponsors. One of the newer, yet easily recognizable, teams to the Greater Washington / DC Metro Area is District Velocity racing. They can often be seen in large groups of riders during one of their training rides. The teams roots began during some cold winter training rides in 2008. Since then the team has garnered multiple podium and top tier finishes in nearly all of the MABRA races. More about the team can be found here. Membership: See here for further detail regarding team membership. Sponsors: Bicycle Pro Shop, Filter Coffehouse, Level 2 Development, The Farm, Honey Stinger, Raw Talent Ranch, Twisted Brazz Studio, Let Larry Do it, Inward Out Designs. 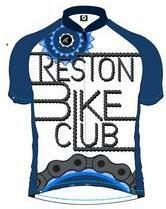 Reston Bike Club is an all volunteer non-profit club containing over 700 members. The group organizes multiple group rides and social events throughout the year. The group is primarily based in the NOVA region with most of their group rides occurring in and around the Reston, VA location. The club is primarily focused upon facilitating and growing the cycling community in the NOVA region. Membership: $20 annual dues. More information can be found here. Whole Wheel Velo Club (WWVC) is one of the older cycling teams in the region. Founded in the 1970's, WWVC is dedicated to the development of bicycle racers in the Northern Virgina region. The team currently consists of roughly 40 members from all walks of life and varying cycling abilities. The team has numerous resources available to it's members which aides in their overall cycling development. Please refer here for more detail regarding membership benefits. Membership: If you are interested in joining, please contact a current team member. Active particiaption in the team is desired. Sponsors: See here for a full list of sponsors. This club boasts over 100 active members in the Mid-Atlantic and Northern Virginia regions. Evolution cycling primarily focuses on the development of cyclists ranging from category 3 through 5 however they have a wide range of talent and experience on their team. They also boast one of the strongest master's team in the NOVA region. Bike Rack Multisport believes individual athletes are motivated to perform better and have more fun as part of a committed, energized group. The team is a visible presence in Washington, DC, respected for their competitiveness, active member participation and engagement in the multisport community. Team members cover the spectrum from the novice beginner to multisport to the elite. The team not only trains and races together, they also have regular team gatherings for some quality "out of spandex" time. The Bike Rack Road Team is based in the Mid-Atlantic region. The team supports and promotes women in racing—new and experienced alike—who are passionate about riding and eager to join a competitive community. The team focus includes the opportunity to improve cycling skills, grow as a team, work and race hard and above all: have fun while doing so. The team welcomes all levels: from those who have never participated in a race before to those who are looking to upgrade. One of the most recognizable names around DC, especially if you find yourself in the MABRA cycling races. The team is comprised of many different ages, skill sets, and backgrounds but continues to be a team which has sent some of their top riders into the upper ranks. Riders on the team range from Category 3 to Category 1. The VeloWorks-Spokes, Etc. Race Team is back and better than ever for the 2013 season. After a great showing throughout 2011 in the local mountain bike and cyclocross races the team has expanded to officially include a road team for 2012 and 2013. With a team based roughly on the Highroad model we’ve gone out and stealthy assembled teams of undervalued riders who are ready to once again take the local scene by storm.